If you’re looking around your facility and realizing you need a viable material handling solution, look no further. Some companies know exactly what they need, while others may require a little direction. Either way, there are hundreds of solutions available, many of which can be tailored to meet the needs of your application. Material handling solutions, like overhead cranes and monorails, come in a variety of forms. From A-frame gantries that provide versatility and portable lifting to enclosed track bridge cranes that can provide rectangular coverage of your entire facility, the possibilities are endless. So, let’s look at how adding the right options to your material handling solution can allow you to get the most out of your system for your application. Aluminum gantry cranes are a really popular overhead lift solution, mostly because they’re strong, durable, and extremely portable, but also because they provide site-to-site material handling for practically any work environment. 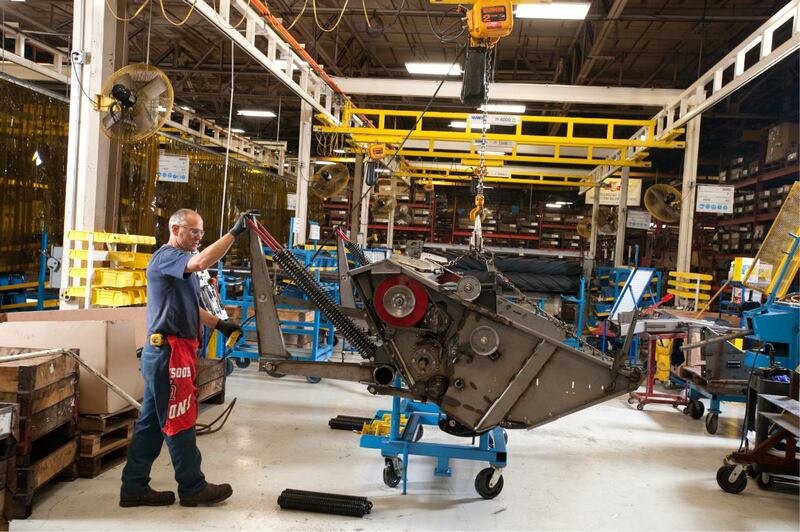 All aluminum gantry cranes provide flexible features, like legs that adjust in six-inch increments, allowing workers to adjust heights for specific lifts, uneven floors, or to move through doorways and aisles. But, many people don’t know that there are additional options that can increase the versatility and usability of your aluminum gantry crane, thereby improving efficiency and your bottom line. One great alternative option for aluminum gantries is pneumatic tires. Aluminum gantries come standard with polyurethane casters, which are perfect for regular shop floors where gravel, dirt, grass, and uneven floors are not a problem. But, if you’re transferring your gantry crane from one site to another or using it on a construction site, rooftop, or other outdoor location, consider adding pneumatic tires. Pneumatic tires come in a variety of sizes and make rolling your gantry crane under load extremely easy in difficult locations. They also add additional height under the beam, giving you more flexibility in your lifting. Your aluminum gantry can be fitted with single or dual pneumatic tires, and all of them come with swivel-locking casters for easy steering and braking. 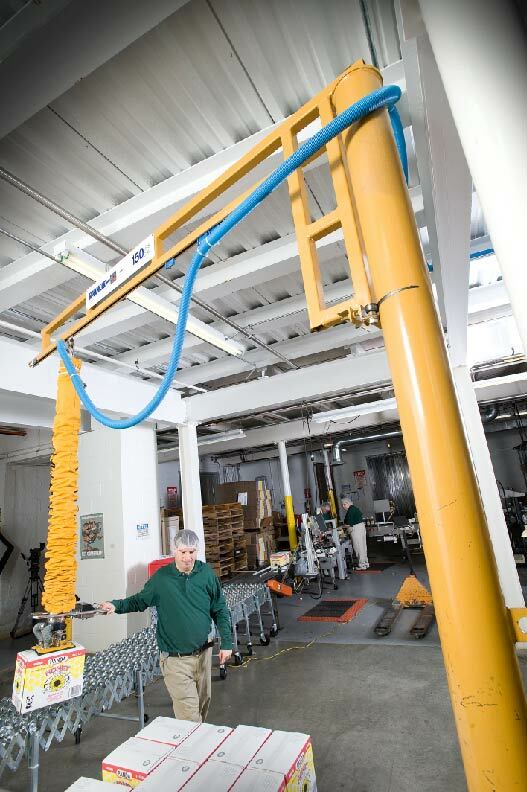 Another popular option for Spanco Aluminum Gantry Cranes is a height-adjustment winch-hoist kit. Adjusting the legs on your gantry crane can be quite simple when the beam isn’t attached to the frame. However, the beam adds additional weight to the crane, making it more difficult to adjust the legs quickly. By adding a height-adjustment winch-hoist kit, workers can quickly and easily change the I-beam height without removing the beam from the legs. In addition, the height adjustment winch-hoist kits include two Lug-All cable winch hoists, which can be used in many other applications that require hoisting and lifting. Another popular overhead lift solution is enclosed track workstation bridge cranes and monorails. These systems provide rectangular crane coverage for any size facility, allowing a single worker to move loads along the bridge to any point within the rectangle formed by the two runways. These systems can be ceiling mounted, which requires no floor space, or freestanding, which is ideal for rented facilities or factories where the ceiling structure can’t bear the weight of a large overhead crane. There are a variety of options to choose from when purchasing and installing a workstation bridge crane, many of which provide additional functionality for workers and work processes. For instance, adding a tractor drive for heavier loads can improve the usability of the crane over inaccessible or unsafe work areas. Workstation bridge cranes and monorails can also be readily expended to connect to other bridge cranes or monorails, giving your shop the luxury of one fluid system that runs the course of your entire facility. Enclosed track workstation jib cranes are another example of a versatile system with options to help you tailor your material handling system to your individual needs. These agile cranes provide a great deal of dexterity to your application, providing easy, ergonomic lifting and transfer of repetitive loads. These cranes also provide a variety of options to make your material handling much more effective and meet the needs of your application. They can be fitted with a portable base with forklifts pockets, making them easy to move from one part of your facility to another. Electric collector rings or air swivel allows continuous 360-degree boom rotation, and lift platforms on the jib mast accept all brands of vacuum pumps. 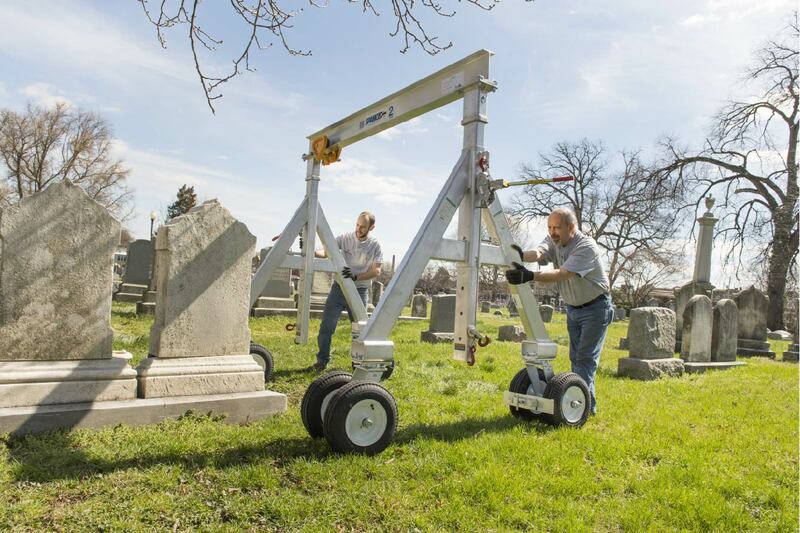 Our vacuum hose trolleys fit up to three-inch diameter hoses, and telescoping boom sections make reaching in and out of tight spaces much easier. Workstation jibs can also be fitted with rotation stops, flat festoon cables, 3/8-inch diameter festoon air hoses, or trolleys for any hook-mounted device. When it comes to overhead cranes and material handling solutions, the options are practically endless. Don’t overlook these potential time and cost-saving options. In the end, they can make your life much easier by improving the safety of your workers and providing a much more efficient manufacturing process.